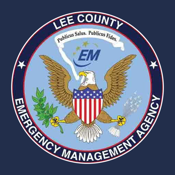 The Lee County EMA is proud to offer this free app to the citizens who live and work in and around Lee County, Alabama. This app is intended to provide you with everyday information about our office and the services we provide, as well as the ability to provide emergency notifications to your phone. This app is not intended to replace your primary means of emergency notification due to the inability for us to ensure that that the notifications from this app will make it to your phone 100% of the time. Technical issues like power outages at cell towers, to the amount of signal your phone has, to internet outages, etc. prevent us from ensuring you will get a notification in real time, every time an incident occurs.